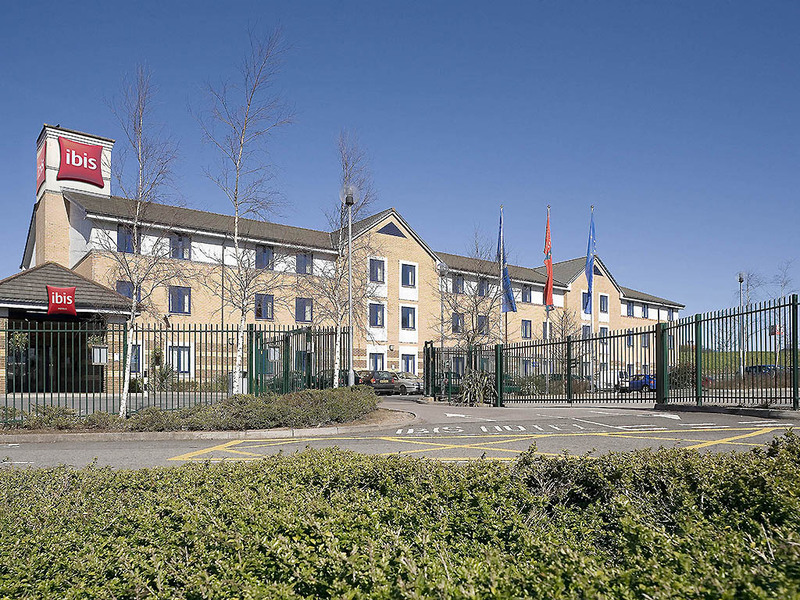 The hotel is perfectly located for access to Cardiff Gate Business Park, Pentwyn and Pontprennau, and is only a 15-minute drive from Cardiff city centre for the tourist attractions. Cardiff International Airport is just 21km from the hotel . Great location at a good price. Plenty of carparking and welcome on arrival. Clean and comfortable room with good breakfast. Park and Ride into Cardiff City about a mile away and best way to visit Cardiff Castle, harbour and shopping centre. Very good with no problems. A very pleasant relaxed stay with a nice quiet night. My own fault, I didn't realise there were still hotels with minimal double glazing - awful traffic noise. However, the staff were extremely helpful even though they could not fix the television fully. Also I meant to tell them at reception that the basin taps in room 122 need new washers. The hot especially - if it's not turned off hard it runs contstantly. We've stayed at the Ibis in Cardiff Gate on previous visits to our family and friends in Cardiff and, once again, it didn't disappoint. The staff are friendly and helpful and the rooms clean and well equipped (although, to be honest, there are the first signs of age showing which, hopefully will be addressed with a refurbishment in the not too distant future). I would have liked the bar to be a little better stocked (they ran out of lager for two of the three days we were there) as there isn't a pub (other than the Toby Carvery) within walking distance and it's nice to have a relaxing drink when you get back in the evening. Overall the hotel is good and we will certainly consider it favorably when we look for a hotel for future visits. Used a disability room for a number of days. Wet room large with all facilities required. The bedroom was larger than expected and in very good condition clean and tidy. Like all hotels without automatic doors getting in with a wheelchair is not easy but as soon as we approached the door in or out reception would come and open doors. Staff a credit. Highly recommend. It does the basics well. Perfect for an overnight stay. No frills, but clean room, comfy bed, good shower and easy parking. Ideal for visiting family at Cardiff. Frequent visitor at this hotel. Quiet room,Comfortable bed, great breakfast. The hotel at first impression was bright and clean. The receptionist was helpful and friendly. The bedrooms were very clean and had everything you needed. The beds were comfortable. Didn’t have breakfast so can’t comment on that aspect. Check out was easy and again it was nice for the receptionist to acknowledge that we were leaving and wish us a safe journey on. Will definitely stay again especially with the price. Well done to the staff they were all great. Welcoming and attentive staff. Really clean room, comfortable twin beds, what more would you need fora one night stay. On business. Hotel was close to business park. Was cheap, good brekkie and was what I needed. Excellent. No complaints at all. Arrived really tired. Receptionist was very pleasant and helpful which set the scene for a restful stay. Good location just off M4. Staff friendly and welcoming. Super comfy bed (as always) but room a little tired.